Cover of Erika L. Sanchez's novel, "I'm Not Your Perfect Mexican Daughter." Julia, the main protagonist in Erika L. Sanchez’s New York Times Bestselling Young Adult Novel, is not the perfect Mexican daughter. Neither am I. In her novel, “I’m Not Your Perfect Mexican Daughter,” Sanchez tells the story of Julia, who has always been the black sheep of her family compared to her older sister Olga; Olga was the golden child. When Olga dies in an accident, Julia’s world and her perception of her sister gets turned upside down. She sets off to discover the secrets her seemingly perfect sister kept hidden and discovers more about herself in the process. Set in Chicago, the novel offers a deeper connection to our community as we can actively picture the neighborhoods and suburbs mentioned in the novel, which was a nicely added bonus for me. Sanchez, who lives in Chicago, knows the area and accurately represents Mexican-Americans who call Chicago their home. Her understanding of our culture, traditions, and family-oriented behavior is shown in her writing. She gives an authentic voice which would have not been the case if the novel had been written by someone who was not Mexican-American. This was the first young adult I read where I saw my family, my neighbors, and my culture represented, and it struck a chord with me. This is why representation matters, because there are English majors and literature fanatics, like myself, who have yet to read a book about someone like them, and when they do, it is life changing. Julia struggles throughout the novel with being a first generation Mexican-American, which is what I related to the most. Just like Julia, I am also seen as not Mexican enough for many people and not American enough for others. Julia constantly reads and has dreams to live away from home and become a writer but struggles with the pushback she faces from her parents for wanting to move out. The constant tension between Julia and her parents about college is one that I can personally relate to as my parents were strongly against me going to an out-of-state college and preferred one where I could commute. There is a constant love-hate relationship I established with Julia throughout the novel. I sometimes found myself rooting for her while other times I wanted to reach into the novel and slap her across the face. I am usually not a violent person but I understood why other characters in the novel got frustrated with Julia. While her character is extremely relateable on the first-generation-Mexican-American level, at times Julia can come across annoying and entitled. However, it only adds to her complexity and mirrors reality for many people. “I’m Not Your Perfect Mexican Daughter” is a standout amongst other YA novels as it is a great representation of issues that affect the millions of first generation Mexican-Americans who are continuously trying to manage both identities. Sanchez excels at addressing issues that the Mexican community is notorious for avoiding such as mental illness and the pressures placed on children from Mexican homes. I applaud Sanchez for having the courage to address these issues. I’ve faced many of these issues with my family personally and I know the struggle first hand of trying to explain mental health to an older Mexican generation. 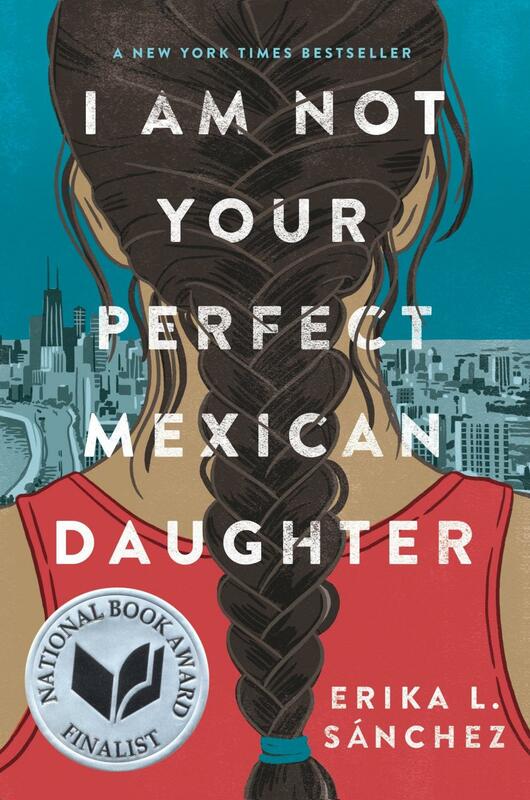 “I Am Not Your Perfect Mexican Daughter” is an outstanding novel that is able to give a voice to a community that is often not represented in Young Adult Literature.